Hey guys, I'm finally interested in upgrading my stock Premium 7 head unit in my 09. 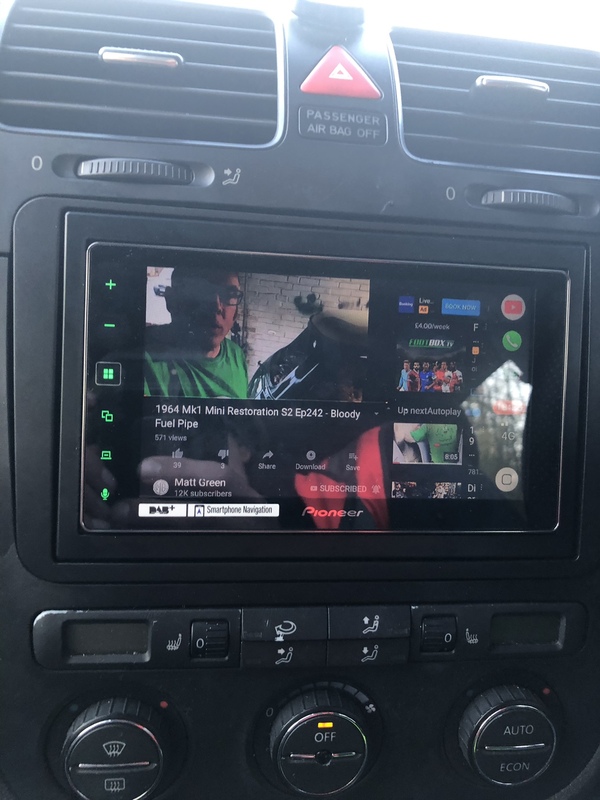 I'm mainly looking for something Double Din under $300 so it doesn't need GPS. I would like my SAT radio to work since I'm paying a yearly subscription for it. 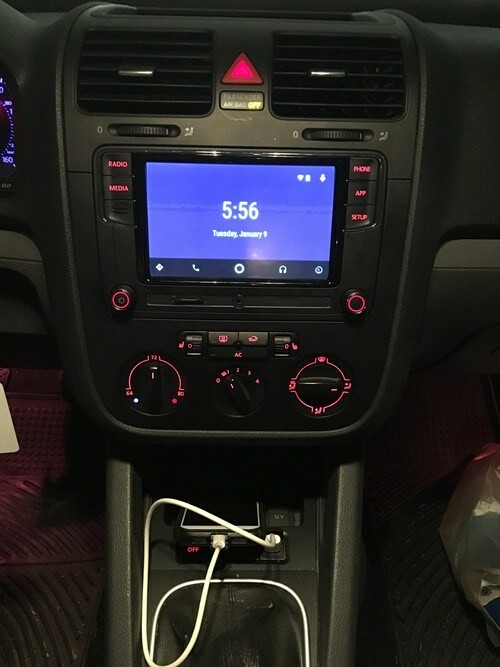 Touch screen would be nice and something maybe VW genuine would be ideal since I do not want to worry about any off brand head unit problems. Also, Bluetooth for my phone if it doesn't have an aux or USB plug in for my iPhone. or a RCD-510 is also really cheap but has less features and requires a separate Bluetooth module. Both of those can be had for under $250 though. How's this? Direct plug and play? Also, will it be in English since it's out of a Chinese car? There's a bunch on eBay for sale. Any of those good? Last edited by Pugs51; 08-07-2017 at 01:59 PM. Nevermind guys. I found people on MKVI forum taking about it and bought it from a reliable eBay user. Hey guys so I installed my RCD330+ today and I figured I’d share some feedback in case anyone was wondering how it is.. and I’ve honestly gotta say it’s awesome!! Car play is by far my favorite feature of this headunit. It connects super fast and I love how responsive the screen is. Music sounds great and Bluetooth works great as well. Installation was super easy, literally took me 20 minutes to swap out the stock unit and put this one in. Only thing that isn’t great is that my steering wheel controls no longer work, but that can be fixed by upgrading to a newer steering wheel control module or whatever it’s called, so I’m not all that bummed out about it. Regardless, I’d seriously recommend this headunit to anyone who’s thinking about it. You won’t regret it! Awesome, I might have to do this. Any other info on the newer steering wheel module? I don't really care about tuning the radio or even the phone button, but I'd miss the volume control. I have an 06 and this would drain my battery for sure. Which can bus model do I need? I 100% second this... This was my favorite purchase for my 2009 to this day and I've had it for 6 years. I have the RCD330 in my car and I upgraded to a MK6 MFSW to since my steering had no buttons. You can keep your MK5 wheel but you'll need to upgrade to a CH SWCM which you can get on ebay. I moved my USB with a plug from Double Apex and I keep phone under the climate controls. Awesome and welcome to the forum. 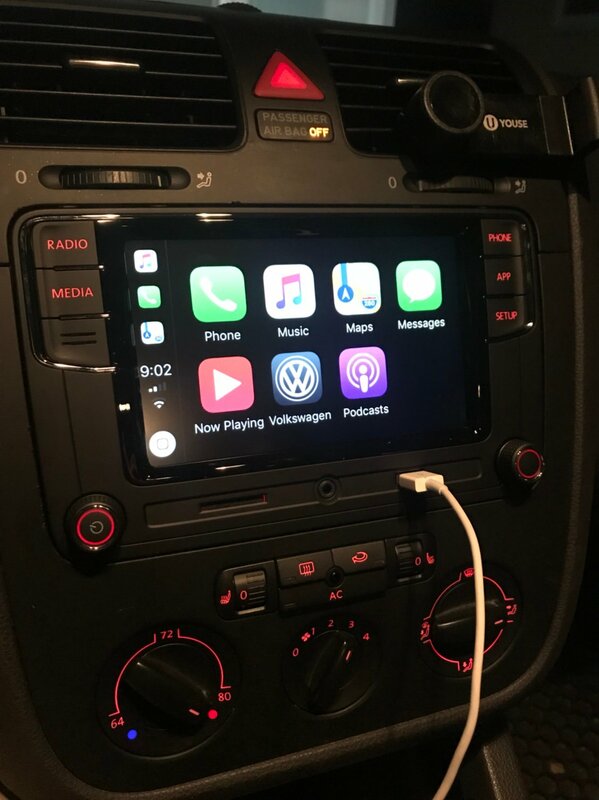 I'm almost certainly going to do this upgrade (from premium 7) and just want to see the full picture as far as components needed for 2008 and earlier to have steering wheel controls, so your post is very helpful. I'll do some more research and this may very well turn into a megathread like vortex and mk6 forums have regarding this unit. What is can bus and is it required to be changed? Can i use just can bus simulator? Note: my gti is 06 and doesn’t have stearing controls please advise if i would have any drainage issue? Also interested in installing one of the RCD330's. I have an 08. Says I will need a can bus adapter. If you have a car make before year 2009, you will need to replace the CAN gateway to avoid battery drain. If car makes before 2009, its multi steering wheel buttons can not control this stereo." So where can I get the needed can gateway or adapter? Where can I get the correct steering wheel control module? 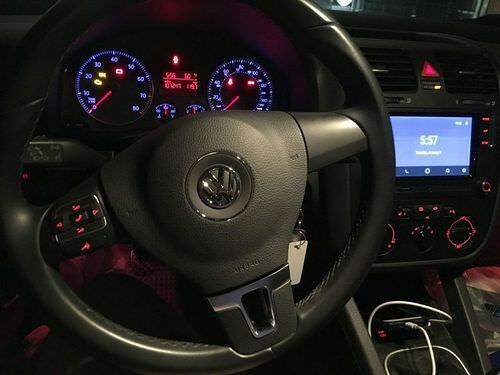 I'm also going to need this info... although I'll most likely get the MK6 steering wheel like post #12 not because I lack the buttons, but because my leather wrap is getting pretty worn. So I did a bit of digging. I contacted the ebay seller, he said that my 2008 gti should not suffer from battery drain. 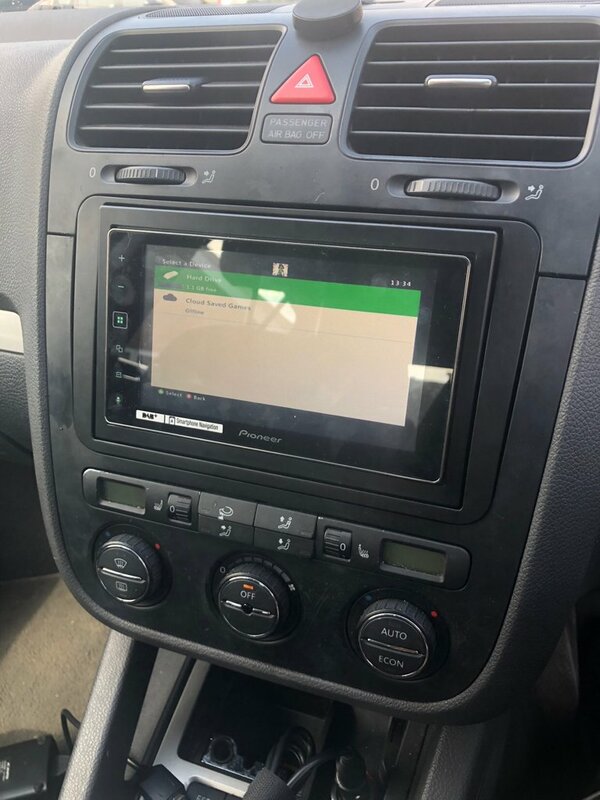 "Vehicles belonging to the model series PQ35/PQ46 from model year 2008 (MY08) as well as the Tiguan have gateways that are updated." That link has most of the information required, including the part numbers to CAN bus gateways that will work if you need them. 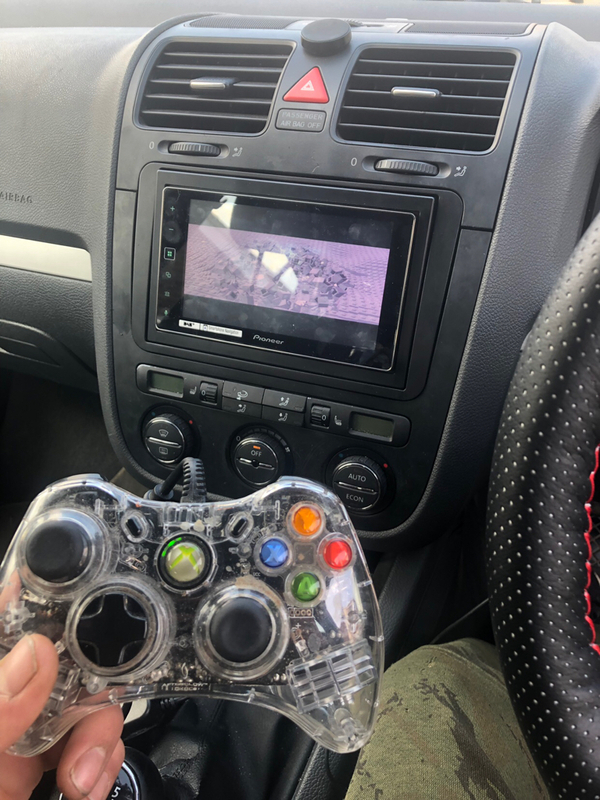 I am still trying to figure out what I need to get my steering wheel buttons working with it. Just installed this pretty cool unit still getting used to all the functions but have a few minor issues like it’s currently wired so the switch live comes off the back of the climatronic wires but when I turn my key to the second position when turning car off the headunit goes off I thought this was only gonna go off when I removed the key. Also can anyone tell me the right wire at the back of the light switch that I can wire the headunit illumination wire to so It can do the auto dimming function when lights are on or off. This is amazing how did you figure this out ?? ?